Hello friends, I am your Astrologer Surbhi and you are watching me at AstoSage TV. I am back again with your monthly horoscope. This time I am predicting the month of April in the year 2014. So, let’s see how the month will be for you. Our first zodiac sign in Aries. Arians, I would suggest you to be cautious throughout the month. You really need to keep a control over your emotions while working on anything. Try to stay at bay from travels as well as traffic. If we talk about business or work, you really need to keep a watch over your actions and speech. Also, you need to control your expenditures. All the troubles of your life will start waning in the second half of the month. Respect and honor will increase. You may also go on a profitable journey. However, in this time too, you will have to give special attention toward the health of your family as well as your own health. As a remedy to tough times, I would suggest you to chant Gayatri Mantra 11 times everyday. Now, let’s see how Taureans will fare this month. So Taurus, the first half of the month will be quite positive for you. You may make some really profitable deals during this time. Time will also bring beautiful moments to your love life. Your income will also take a good hike. Along with this, your journeys will also benefit you. In this month, you may also go on a leisure trip with your loved ones. But, the second half of the month might stay full of expenditures. Along with that, you will also have to take good care of your health. As a remedy to tough times, I would suggest you to offer brinjals to a needy person. Now, we will see how Geminis will do this month. So Geminis, the entire month will be positive for you. In the first half of the month, you will do wonders in your work or business. You will also get support of your seniors. Your bosses will be happy of your work. Progress in financial matters is seen and there are good chances of corporate journeys. On the other hand, in the second half of the month, profitable situations will be strong. You will spend a beautiful time with your sweetheart. As a remedy to tough times, offer black grams to a needy person. Now, we will peep into the future of Cancerians. So Cancers, the beginning of the month is coming with mixed results for you. You may have to go on some distant journeys. However, the chances of success are bleak. You will get benefit meeting the people sitting at higher positions. Tensions related to progeny and education will end in this time. However, you will have to take good care of the health of your parents. On the other hand, the second half of the month is brilliant for work and business. Also, you will get rid of all the troubles related to finances. But, you need to drive carefully during this month. As a remedy to tough times, serve your father or a father-like person. Let’s now talk about Lions. So Leos, the first half of the month doesn’t seem to be favoring you much. Your computer or laptop might show some troubles too. Also, there are chances that your vehicle may face malfunction. If you are planning to do something new, think about it deeply before taking any initiative. Most of your troubles will vanish away in the second half of the month. You will get success in everything. Financial situation will improve. You need to be in proper coordination with your partner during this time. As a remedy to tough times, I would suggest you to offer water mixed with red flowers to the early morning Sun. Now, we will talk about Virgo. Virgos, you need to be really cautious throughout the month. Take any business related decision quite carefully. You may stay a little distressed due to your spouse or some domestic issues. The time may make you fall ill or give you stress. So, I would suggest you to lead a disciplined life and act carefully. Also avoid sodas and junk food. Even the second half of the month isn’t very positive. Hence, during this time too, you need to be really cautious and have a good command over your actions. In the times of trouble, offer vermilion mixed water to the early morning Sun. Now, let’s talk about Libra. Starting of the month is holding positivity for you. Old troubles will get eliminated from your path. You will be successful in defeating your opponents. Success is seen in everything. Situations at work will also get better. Honor and respect will also increase. Possibilities of promotion are also there. On the contrary, the second half of the month may bring some problems in your relationship with children or lover. Your financial balance may also get disturbed due to shopping. Hence, along with business and work, take good care of your family as well as health. As a remedy to tough times, recite Bajrang Baan. Now let’s see what Scorpions have got this month. Scorpios, almost the entire month is positive for you. In this time, you will welcome your life with great fun and gusto. You may also go on a journey suddenly. Tensions related to progeny or lover will also get off your life. Second half of the month is coming with the solutions to all your troubles. You will get rid of troubles. Respect and honor will increase. Possibilities of promotion are there, or situations at work will improve. As a remedy, offer oranges in the temple of Lord Vishnu. Let’s talk about Sagittarius now. Sagittarius, you may have to work harder to fetch out good results. In the first half of the month, you may feel a little tired. You may think about selling your old car. Situations will get better in the second half of the month; still you need to stay cautious. You may stay stressed about buying a gift for your children or love partner. Don’t take any decision in excitement and drive carefully. In tough times, offer cloth to Hanuman Ji. Now, let’s talk about Capricorns. 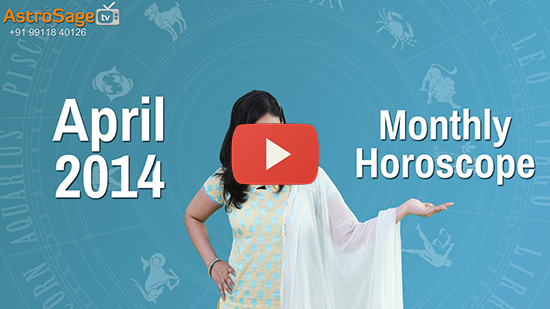 So Capricorns, you will get positive results in the first half of the month. If you were planning to buy a new phone since long, then indeed it is a really good time. You may also go on some short journey, which will be fruitful for you. Time will also stay positive for financial matters; whereas second half of the month may call for your hard work. Your energy may go down during this time. If you have to take a decision on something, give it a 2nd, 3rd, 4th… as much thoughts as you can. In the times of trouble, offer food to little girls. Let’s now see how Aquarians will fare this month. Aquarius, though you will try to complete everything very carefully, yet the beginning of the month seems not so very positive for you. Your smartphone may also show some troubles. Hence, you may think about changing it. However, you need to be really alert of not choosing a wrong phone in haste. Some financial or familial troubles may also stay. But, the second half of the month will wane all your troubles. You may get benefit through a journey. Positivity will also prevail in financial matters. Health will also stay fine. In the times of trouble, offer red fruit or vegetable in Hanumman Ji’s temple. Now, we will look into the future of Pisces. First half of the month will be giving you mixed results. During this time, you will be full of confidence. You may get honored by the government or some organization. You will think about waking up early in the morning. Also, you may try to start gymming or performing Yogasanas. Even in the second half of the month, you will have to be really cautious in the matters related to home and finances. Some issues related to health may also stay during this time. As a remedy to difficult times, offer honey to the Shivalinga. So, this was all I had for the month of April. Hope you will make the best out of these predictions. If you don’t want to miss any of such useful videos, please subscribe to AstroSage TV. Your comments and likes are very much valuable. Have a great time ahead!